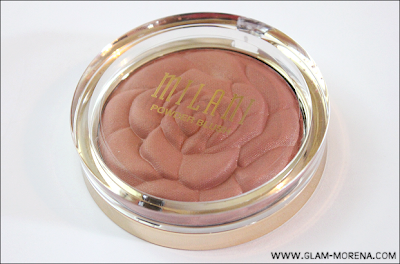 Glam Morena: Milani Coming Up Roses Powder Blush. 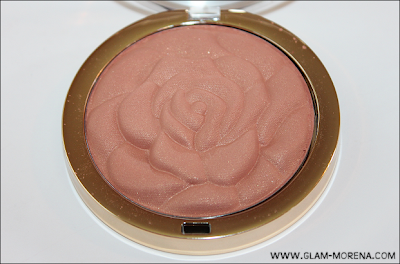 Milani Coming Up Roses Powder Blush. Milani released new blushes that are called the Milani Coming Up Roses Powder Blushes. Each blush is designed into a rose and it's really cute! These blushes are limited edition. They will be available at select CVS, Walgreens, Meijer and Fred Meyer stores. They will also be available at the official Milani Cosmetics website. Shades Available: Romantic Rose, Flora Passion, Warm Petals, and Bella Rose. Description: A luxurious matte powder blush that features rose petals micro-milled into the powder to bring out the natural rosy tones. This blush is multi-purpose: use to shape, contour, and highlight your face. It is easy to use and streak-free. Suitable for all skin types and tones. Description: a terracotta with golden shimmer. A photo of Warm Petals taken outside. This shows more of the true color. 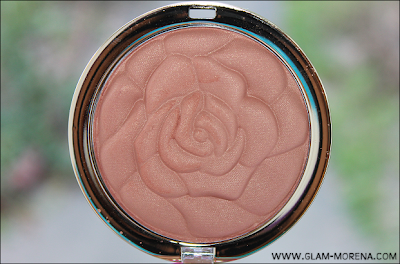 A swatch of the Milani Coming Up Roses Powder Blush in Warm Petals. I love, love, love the rose shape of this blush! If that's not a good enough reason to go buy one of these then I don't know what is. The packaging is very similar to the Milani Illuminating Face Powder. This blush comes with 17 grams worth of product. That's a pretty good deal considering the price. As usual Milani does not disappoint with the quality! The blush has a soft and finely milled texture just as described. I don't have any complaints of fall out though. The pigmentation is great. As you can see in the swatch above it applies a bit more matte even though there is golden shimmer in it. I don't find it to be glittery at all because it's more of a glow. It applies as an orange bronze with a sheen on me. 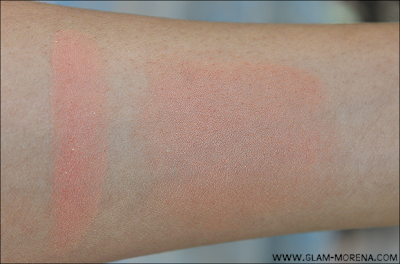 This is the perfect everyday and "natural" blush for my skin tone. Warm Petals is a must-have item for those that have tan, dark, or deep skin tones! I think this would even work well on medium skin tones. Those that have fairer or lighter skin tones could probably use it as a bronzer. Some may dislike it because it pulls a bit more orangey though. Have you tried the Coming Up Roses Powder Blushes? Thoughts? Favorites?